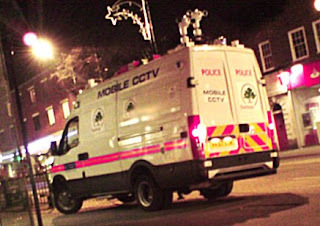 I can't help feeling there are Friday-night trouble spots in the Sutton area more deserving of the presence of the borough's 'Mobile CCTV' unit. However if things do kick of tonight outside The Sue Ryder Charity Shop on Central Road then it will all be captured on film. Smile and wave, Worcester Parkers!